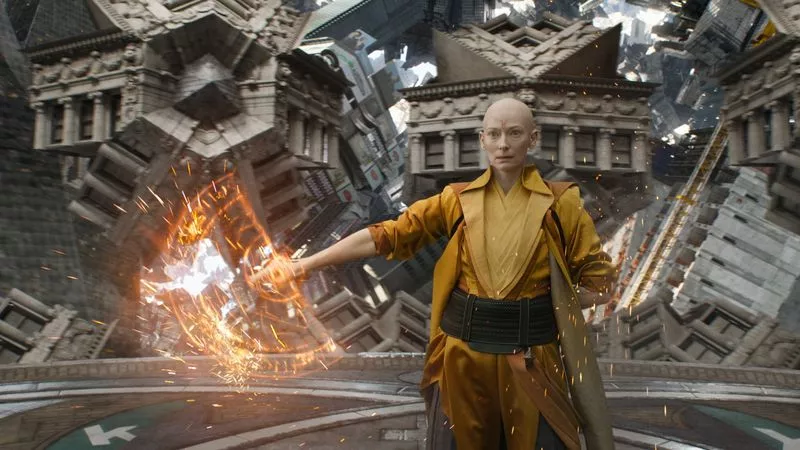 Avengers: Annihilation executive producer Michael Grillo has confirmed during a recent public appearance that Tilda Swinton will be making a return to the Marvel Cinematic Universe as the Ancient One, albeit in what sounds like a limited capacity. Mark Ruffalo previously mentioned that he worked alongside Swinton in the Avengers finale, also mentioning that he had the opportunity to reunite with fellow Thor: Ragnarok actor Cate Blanchett (who portrayed Hela) on the set of the film. It should be noted that in Doctor Strange (Spoiler alert! ), the Ancient One met her demise at the hands of one of her previous students, Kaecilius, and that even with her immense magical power, she could not see past her own death. So presumably, she’ll be reserved to a B.A.R.F.-induced flashback, or perhaps the heroes will run into her after engaging in time travel. With Doctor Strange having met his death by means of Thanos “balancing the universe”, the question of whose memories we could be looking through if Binarily-Augmented Retro-Framing is brought into the fold is certainly something interesting to consider.